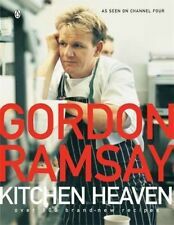 Author: Gordon Ramsay ISBN 10: 014101797X. Publisher: Penguin ISBN 13: 9780141017976. Will be clean, not soiled or stained. Gordon Ramsay's great British pub food by Gordon Ramsay (Hardback)Title: Gordon Ramsay's great British pub food Format: Hardback Type: BOOK Publisher: HarperCollinsPublishers UK Release Date: 20090305 Language: English ISBN-10: 0007289820. 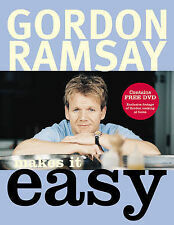 Author: Gordon Ramsay with Roz Denny ISBN 10: 0753715791. Title: Gordon Ramsays Passion for Seafood Item Condition: used item in a good condition. Will be clean, not soiled or stained. Author:Ramsay, Gordon. Classic Ck: Fish & Shellfish (CLASSIC COOKS). We appreciate the impact a good book can have. We all like the idea of saving a bit of cash, so when we found out how many good quality used books are out there - we just had to let you know! Gordon Ramsay's Fast Food: Recipes from The F Word. Author:Gordon Ramsay. Book Binding:Paperback. We appreciate the impact a good book can have. We all like the idea of saving a bit of cash, so when we found out how many good quality used books are out there - we just had to let you know! Title: Gordon Ramsays Secrets Item Condition: used item in a good condition. Author:Ramsay, Gordon. Each month we recycle over 2.3 million books, saving over 12,500 tonnes of books a year from going straight into landfill sites. All of our paper waste is recycled and turned into corrugated cardboard. Cooking for friends by Gordon Ramsay (Hardback)Title: Cooking for friends Format: Hardback Type: BOOK Publisher: HarperCollinsPublishers UK Release Date: 20080915 Language: English. 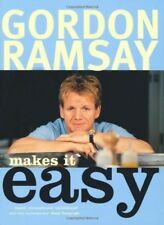 Title: Gordon Ramsay Makes It Easy Item Condition: used item in a good condition. Will be clean, not soiled or stained. Publisher: Conran ISBN 13: 9781840912173. 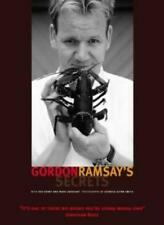 Author: Gordon Ramsay ISBN 10: 1840912170. 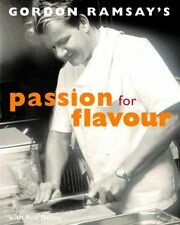 Title: Gordon Ramsays Passion for Flavour Item Condition: used item in a good condition. Will be clean, not soiled or stained. Author:Gordon Ramsay. Book Binding:Hardback. We appreciate the impact a good book can have. We all like the idea of saving a bit of cash, so when we found out how many good quality used books are out there - we just had to let you know! Gordon Ramsay's Delicious Desserts (Cookery Cards). Author:Ramsay, Gordon. Book Binding:Cards. Book Condition:VERYGOOD. Each month we recycle over 2.3 million books, saving over 12,500 tonnes of books a year from going straight into landfill sites. Binding: Hardcover Language: english. Book Details. This cookbook has 100 accessible and delicious recipes for everyone, whether an accomplished cook or complete novice. Gordon has included recipes which he feels 'every cook should know' as well as a handy 'how to' section. Gordon Ramsay's Ultimate Cookery Course. Author:Ramsay, Gordon. Each month we recycle over 2.3 million books, saving over 12,500 tonnes of books a year from going straight into landfill sites. All of our paper waste is recycled and turned into corrugated cardboard. Gordon Ramsay's just desserts by Gordon Ramsay|Roz Denny|Georgia Glynn SmithTitle: Gordon Ramsay's just desserts Format: Hardback Type: BOOK Publisher: Quadrille UK Release Date: 20010907 Language: English. What you are is what you eat. 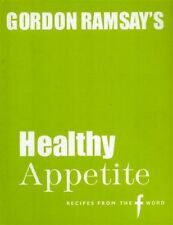 In this book, Gordon presents over 125 dishes using fresh, vital ingredients cooked in the most healthy way. Gordon Ramsay's just desserts by Gordon Ramsay|Roz Denny|Georgia Glynn SmithTitle: Gordon Ramsay's just desserts Format: Paperback Type: BOOK Publisher: Quadrille UK Release Date: 20030110 Language: English. Gordon Ramsay's Big Brunches (Cookery Cards). Author:Ramsay, Gordon. World of Books Ltd was founded in 2005, recycling books sold to us through charities either directly or indirectly. Book Binding:Cards. 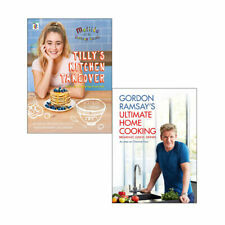 Gordon Ramsay's world kitchen: recipes from the f word by Gordon Ramsay|MarkTitle: Gordon Ramsay's world kitchen: recipes from the f word Format: Hardback Type: BOOK Publisher: Quadrille UK Release Date: 20091106 Language: English. AUTHOR:Gordon Ramsay. TITLE:Pasta Sauces (Master Chefs). Covers may vary and all of our books are second hand unless otherwise stated. ACCEPTABLE - May have major wear and tear. Very well read. Reading copy only. Gordon knows how important it is to eat well, whether you're training for a triathlon or just leading a busy active life. By stripping away all the hard graft and complexity, anyone can produce mouth-watering recipes. Gordon Ramsay Chef's Secrets. Author:Gordon Ramsay. Book Binding:Hardback. Each month we recycle over 2.3 million books, saving over 12,500 tonnes of books a year from going straight into landfill sites. 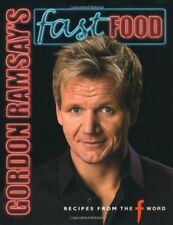 Author: Gordon Ramsay ISBN 10: 1903845920. Title: A Chef for All Seasons Item Condition: used item in a good condition. Will be clean, not soiled or stained. Author:Ramsay, Gordon. Cooking for Friends. Each month we recycle over 2.3 million books, saving over 12,500 tonnes of books a year from going straight into landfill sites. All of our paper waste is recycled and turned into corrugated cardboard. Gordon Ramsay's Cool Sweets (Ramsay Cookery Cards). Author:Ramsay, Gordon. Book Binding:Cards. We appreciate the impact a good book can have. We all like the idea of saving a bit of cash, so when we found out how many good quality used books are out there - we just had to let you know! (2) Gordon Ramsay's Hot Dinners. Gordon Ramsay's. TV Chef Gordon Ramsay. 1) Gordon Ramsay's Cool Sweets. For all those who love Gordon's food but don't want to blow the budget on a big glossy cookbook or haven't been lucky enough to receive one as a gift, this is a chance to sample his delicious dishes in an easy-to-use kitchen-friendly format - and at a fraction of the price! Gordon Ramsay at His Best. Author:Ramsay, Gordon. We appreciate the impact a good book can have. We all like the idea of saving a bit of cash, so when we found out how many good quality used books are out there - we just had to let you know! Gordon Ramsay's World Kitchen: Recipes from "The F Word". Title : Gordon Ramsay's World Kitchen: Recipes from "The F Word". Authors : Gordon Ramsay. First Edition : False. Condition : Very Good. Classification Notes : Dispatched daily from the UK. A chef for all seasons by Gordon Ramsay|Roz Denny|Georgia Glynn SmithTitle: A chef for all seasons Format: Paperback Type: BOOK Publisher: Quadrille UK Release Date: 20020809 Language: English. Gordon Ramsay's secrets by Gordon Ramsay|Roz Denny|Mark Sargeant|Georgia GlynnTitle: Gordon Ramsay's secrets Format: Hardback Type: BOOK Publisher: Quadrille UK Release Date: 20030919 Language: English. A chef for all seasons by Gordon Ramsay|Roz Denny|Georgia Glynn Smith (Hardback)Title: A chef for all seasons Format: Hardback Type: BOOK Publisher: Quadrille UK Release Date: 20000908 Language: English. Gordon Ramsay's Great Escape: 100 of My Favourite Indian Recipes. Author:Ramsay, Gordon. Book Binding:Hardback. We appreciate the impact a good book can have. We all like the idea of saving a bit of cash, so when we found out how many good quality used books are out there - we just had to let you know! 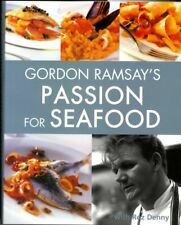 Gordon Ramsay's passion for seafood by Gordon Ramsay (Paperback)Title: Gordon Ramsay's passion for seafood Format: Paperback Type: BOOK Publisher: Conran Octopus UK Release Date: 15 Apr 2002 Language: English ISBN-10: 1840912855. Gordon Ramsay Chef for All Seasons. Author:Gordon Ramsay. Book Binding:Hardback. Book Condition:GOOD. World of Books Ltd was founded in 2005, recycling books sold to us through charities either directly or indirectly. Gordon Ramsay's passion for flavour: recipes from the Aubergine by GordonTitle: Gordon Ramsay's passion for flavour: recipes from the Aubergine Format: Paperback Type: BOOK Publisher: Conran Octopus UK Release Date: 19960901 Language: English. Title:-Gordon Ramsay's Playing with Fire. Author:-Ramsay, Gordon. Publisher Date:-2008-05-05. Gordon Ramsay Ultimate Fit Food. GORDON RAMSAY. This is the ultimate collection of recipes that you'll enjoy cooking and eating, and will leave you in great shape whatever your fitness goals. 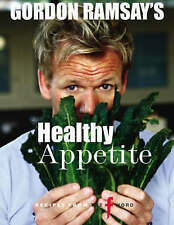 Gordon Ramsay's Healthy Appetite. Author:Gordon Ramsay. Each month we recycle over 2.3 million books, saving over 12,500 tonnes of books a year from going straight into landfill sites. All of our paper waste is recycled and turned into corrugated cardboard. Author:Denny, Roz. Gordon Ramsay's Just Desserts. Each month we recycle over 2.3 million books, saving over 12,500 tonnes of books a year from going straight into landfill sites. All of our paper waste is recycled and turned into corrugated cardboard. Gordon Ramsay's Great Escape: 100 Classic Indian Recipes. Author:Ramsay, Gordon. General Interest. Book Condition:GOOD. Each month we recycle over 2.3 million books, saving over 12,500 tonnes of books a year from going straight into landfill sites. Gordon Ramsay's Hot Dinners (Ramsay Cookery Cards). Author:Ramsay, Gordon. Book Binding:Cards. Book Condition:GOOD. Each month we recycle over 2.3 million books, saving over 12,500 tonnes of books a year from going straight into landfill sites. Gordon Ramsay Makes It Easy. Title : Gordon Ramsay Makes It Easy. Authors : Gordon Ramsay. Binding : Hardcover. Product Category : Books. Condition : Very Good. List Price (MSRP) : 19.99. Signed : False. Pasta Sauces (Master Chefs). Author:Ramsay, Gordon. Book Binding:Paperback. Each month we recycle over 2.3 million books, saving over 12,500 tonnes of books a year from going straight into landfill sites. 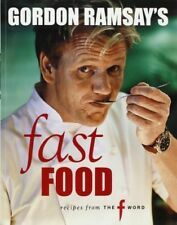 Gordon Ramsay's passion for flavour by Gordon Ramsay (Paperback)Title: Gordon Ramsay's passion for flavour Format: Paperback Type: BOOK Publisher: Conran Octopus UK Release Date: 20060301 Language: English.